A seven-year-old Labrador retriever made B.C. courtroom history on Friday after assisting a child sexual assault victim testify at trial, becoming the first dog to be allowed in a courtroom in the province. The girl, whose name can't be released, was able to cuddle and play with Caber, a trauma dog with the Delta Police Department, during breaks in the trial. "While testifying, the child bent down several times to pet Caber, which appeared to refocus and calm her," said the trauma K9's handler, Kim Gramlich. The dog was permitted in the courtroom due to a successful application by Surrey Crown Counsel Winston Sayson. In a written statement, Sayson said the decision demonstrates the ability of the criminal justice system to "evolve and be innovating in accommodating children and vulnerable victims." He said the dog was clearly a help to the girl. "At this trial, Caber provided the unique kind of support that helped the child witness give a full and candid account of what happened to her," Sayson said. 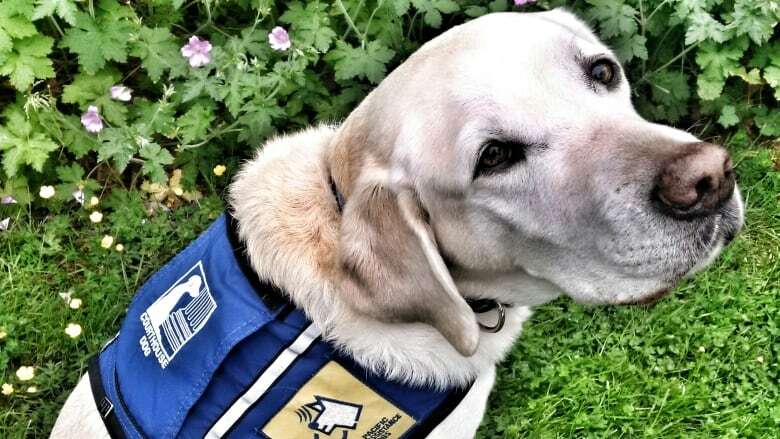 Caber has been with the Delta Police Department since 2010, working at pre-trial interviews and assisting witnesses while preparing to testify. 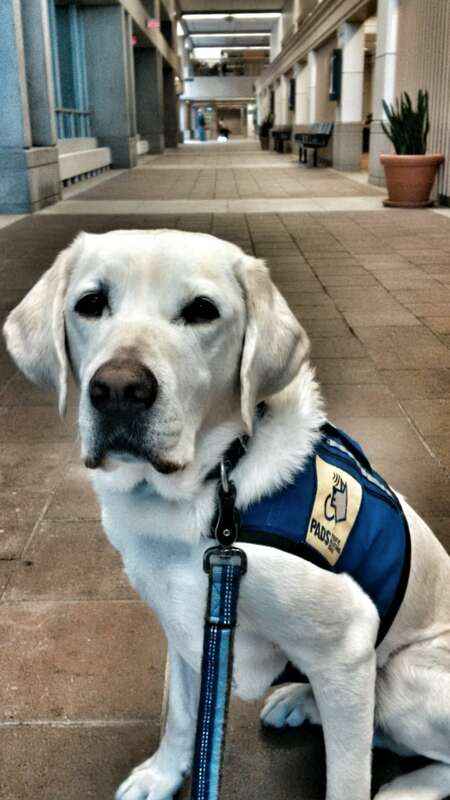 In December of last year, a service dog named Hawk was allowed to assist in a Calgary court. Another K9, Wren, assisted in an Edmonton court in March.